Nikon D850 confirmed and "coming soon"
Bang on its 100th birthday, Nikon has confirmed the development of its much-rumoured D850 DSLR. The company hasn't provided a list of specifications for the new model, but a video uploaded onto its various YouTube channels (below) does give us a good indication of what we will see. In an accompanying press release, Nikon states that "the D850 will be a formidable tool for creators who will not compromise on exceptional image quality and versatility, including both aspiring and professional photographers as well as hobbyists who capture landscapes, weddings, sports, fashion, commercial imagery and multimedia content creators. "This powerful new FX-format digital SLR camera is engineered with a range of new technologies, features and performance enhancements that are a direct result of feedback from users, who demand the very best from their camera equipment," it continues. The press release also confirms that the model will be the successor to 2014's D810. Named Hercules Rising, the video mentions "a universe of endless detail". This strongly suggests a sensor with a higher pixel count than previous D8xx-series models and also the lack of an optical low-pass filter. The last addition to the D8xx range was the 36.3MP D810. This camera was notable for dropping its optical low-pass filter, following the dual D800 and D800e releases. This was also the case with the more recent D500 and D7500 models, although the flagship D5, which is intended for a different audience, did have one included. The mention of sports photography also suggests that the D850 will pair this with a relatively speedy burst-shooting rate. The video, which was captured on the D850 itself, can be viewed at a maximum resolution of 2160p, which appears to confirm the presence of 4K video recording. It goes on to state that 8K time-lapse shooting is possible. Images captured at an 8K resolution, also known as 4320p, are equivalent to around 33MP depending on the aspect ratio. Nikon's most recent DSLRs, the D7500, D500 and D5, have all featured 4K video recording. 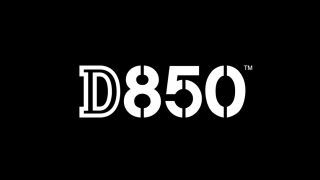 Nikon hasn't confirmed a release date for the D850 as of yet, only that the model is coming soon and that further details will be confirmed at a later time. In the meantime, here's everything we know so far and our predictions.